Honestly, I could never quite figure out or identify with the custom of drinking to a stupor to "celebrate" the change in number of the January First "New Year." Even though I like the taste of some wines, beers and cocktails, my socializing isn't around drinking them. It was never our thing. My husband and I married pretty young, and then two months later we were off on a boat to Israel. In 1970, such goyishe customs as December 31 as "New Year's Eve" was hard to come by, and we weren't looking for it. American holidays like Thanksgiving and New Year's on January first were totally off of our radar and calendars. 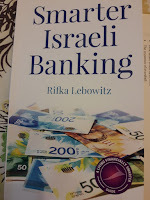 We became totally immersed in the Jewish Calendar, holidays and Israeli special days. And to be perfectly frank, not only didn't we miss the American ones, we totally forgot they existed. The only reminders were the increase in tourists and visitors during those times, since family and friends could more easily take a vacation abroad. Here in Israel celebrating Jewish Holidays is very easy. They are the national holidays when offices, businesses, stores etc are all closed. Torah observant Jews don't have to use up all of their permitted days off on the holidays and annoy their bosses by requesting to leave work early on holiday eves. The Jewish New Year is Rosh Hashanah, and it's a two day holiday, three if you include the fact that it begins before nightfall the day before. Only workers in emergency services, like police, military and hospitals have to work, because saving a life overrides everything in Judaism. We eat four festive meals over Rosh Hashanah, two evening meals and two late lunches. The object isn't to drink, even though there is usually wine on the table. We celebrate and ask Gd for a wonderful new year full of blessings, health and joyous occasions. We ask Gd to defeat our enemies and make us strong. We ask Gd to make us a "head" not a "tail," which is why many people have the "head of a fish" or some kosher animal on the table. I've been making a "fruit head" for many years. Every year for Rosh Hashanah, the Jewish New Year, I make a "fruit head" for a healthy wonderful year for family and loved ones. The only thing I wish for every year when it hits the first of January is that I'll remember to put down the correct year number when filling out forms and writing checks. I must admit that remembering to write "2017" has been an effort all year long, so remembering "2018" will be an even greater challenge. May that be my greatest difficulty. What's yours? And if you do celebrate January 1st as your New Year, may it be a good one. Today, during our Women's Shabbat Torah Class, my mind did one of its little whirls and took something said a bit further. The topic was the Torah Portion of this Week, Vayechi. It is the very end of the Book of Bereishit, Geneis. It gives us the foundations of Judaism, what Gd wants from us. In my title I promised you something about Women in the Bible, and that's what you'll get here. Vayechi is the portion in which Jacob blesses his sons and gives a short description of their characters and what could be expected from them. Jacob's sons are the first group of siblings of which all are included in the inheritance and each has a role in the future of the Jewish People. There is one exception. Joseph is given a double portion. His two son are blessed as if they were Jacob's own sons. Ephraim and Menashe were born in Egypt but are given the same rights as Joseph's brothers. Why? 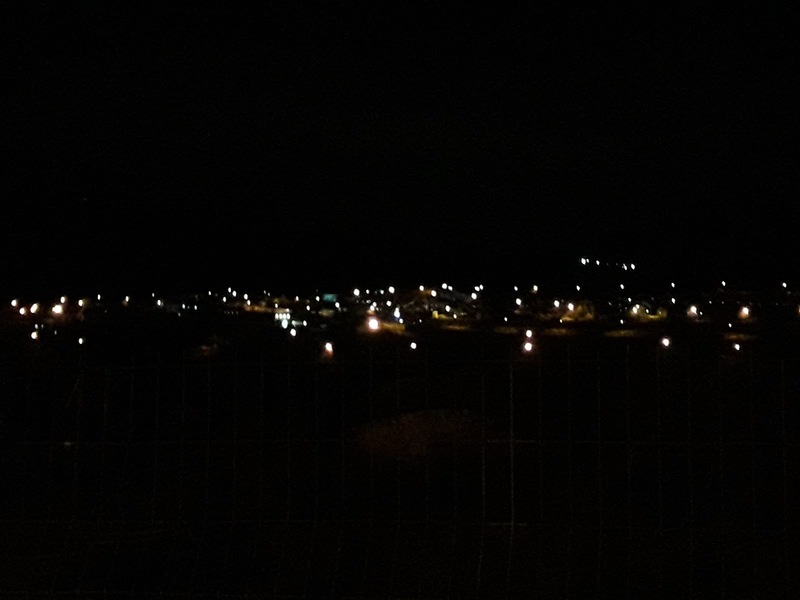 Why is the status of Ephraim and Menashe raised? Could it be to help them assimilate into the family and make sure that they will want to leave Egypt and enter the Holy Land with their cousins? If that was the reason, it seems to have worked, at least with the females. 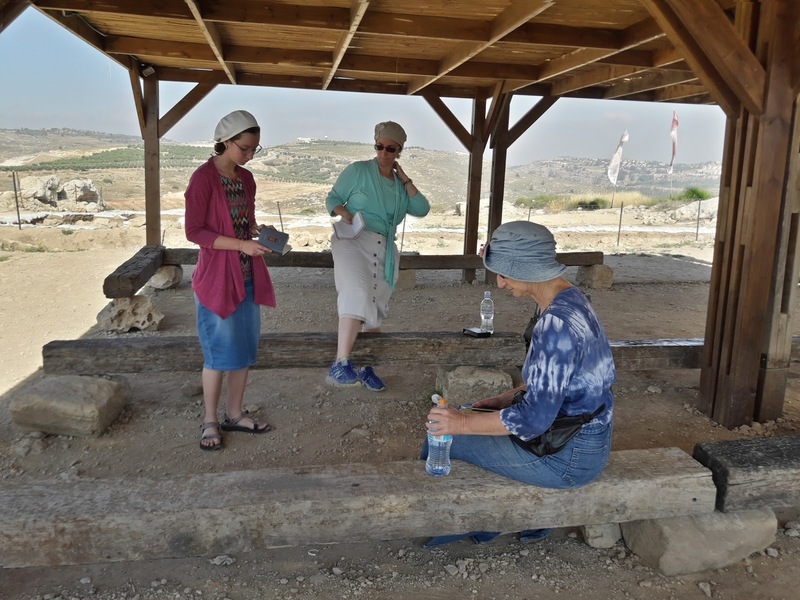 The six women who showed the most attachment to the Land of Israel came from the tribes of Ephraim and Menashe. 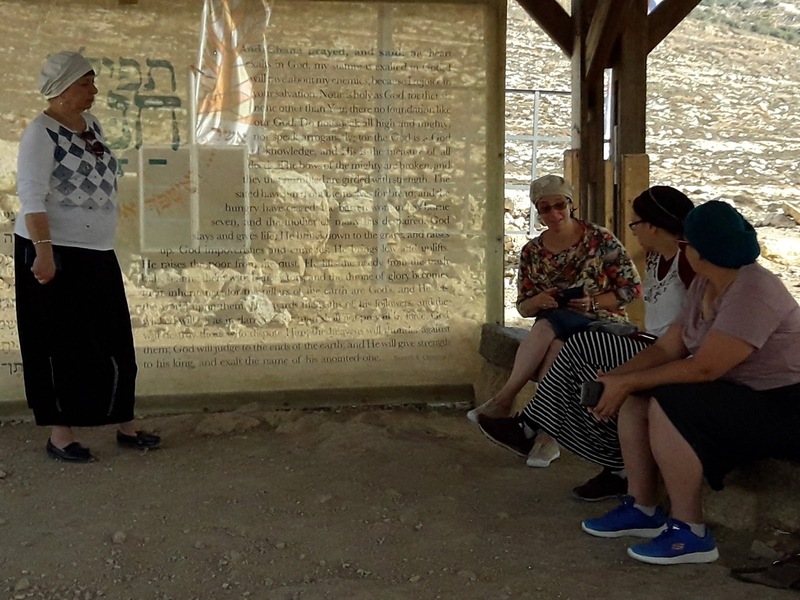 Many people are familiar with the story of the five daughters of Tzlofchad, of the Tribe of Menashe. Being that they had no brother, and their father had already died, they feared that their family portion of Land would be given to others. They petitioned Moshe to find a way for them to inherit the Land and pass it on to their children. Moshe consulted with Gd and was told that as long as the daughters married within the tribe their children could inherit the family Land. 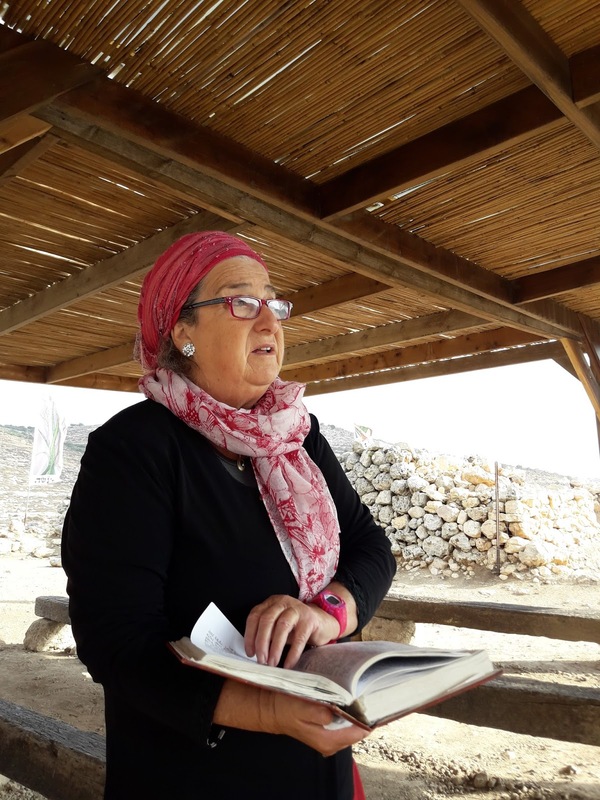 It's very possible that there were similar situations in other tribes, but only these sisters petitioned Moshe to preserve the Land. 22And Ephraim their father mourned for them many days, and his brothers came to console him. 23And he went in to his wife, and she conceived and bore a son, and he named him Beriah, because during a time of trouble she was in his house. 24And his daughter was Sheerah, and she built the lower Beth-Horon and the upper one, and Uzen Sheerah. As you can see from the Bible, She'era must have been a very dynamic woman. She built three cities. If you go through those chapters in Chronicles, you'll notice that only the male descendants are mentioned, except for She'era and the Daughters of Tzelafchad. It makes me wonder... What about you? I don't see the Jewish Laws of Shabbat, Sabbath as restrictive. For me it's a freedom, an escape from the chores and responsibilities and burdens of the everyday world. These aren't the same as the secular concept of "work." We follow the traditional rabbinic interpretations of what these mean in today's world. It isn't a matter of "relaxation" in the physical sense. So, it's not a matter of "driving or texting isn't hard, so why can't I do it?" 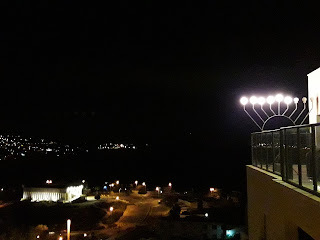 Many/most modern conveniences are totally forbidden on Shabbat, because they utilize forbidden elements like fire/electricity or aspects of "creation" which are totally forbidden. Consider that nowadays with the advent of internet, cellphones etc people rarely communicate face to face, in person, having twenty-five 25 hours every week when you must look someone in the eye, and not on a screen is of the utmost importance. 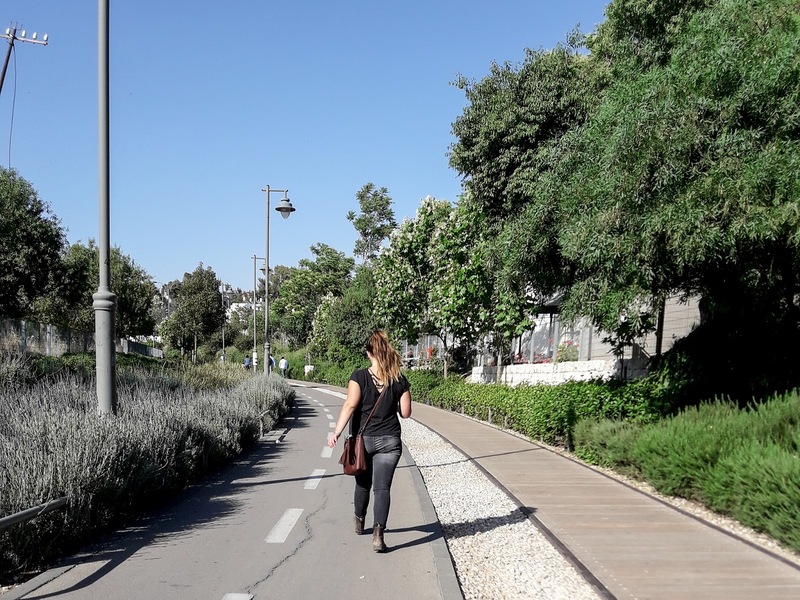 On Shabbat we're also rather tethered to our homes, since even if we're fit, we aren't to walk over a certain distance. We're also commanded to pray in a group, a minyan, so community is developed. And we have to live nearby, surrounding our synagogue. Since it's forbidden to cook on Shabbat, we're freed of the burden of food preparation. It must be done beforehand and is rather easy, once you get the hang of it. All I do is to place the cooked food on the warmer and cut up some salad. There's also the community aspect of inviting and being invited to friends and neighbors. We tune out from what's happening outside, which is so relaxing. Everyone needs a day to spiritually recharge. Even though I wasn't raised in a Sabbath Observing home or community, I can't imagine living without Shabbat. That is especially when I hear how busy others who don't observe the Sabbath are over their weekends. I wonder how they survive without this rest I get every week. 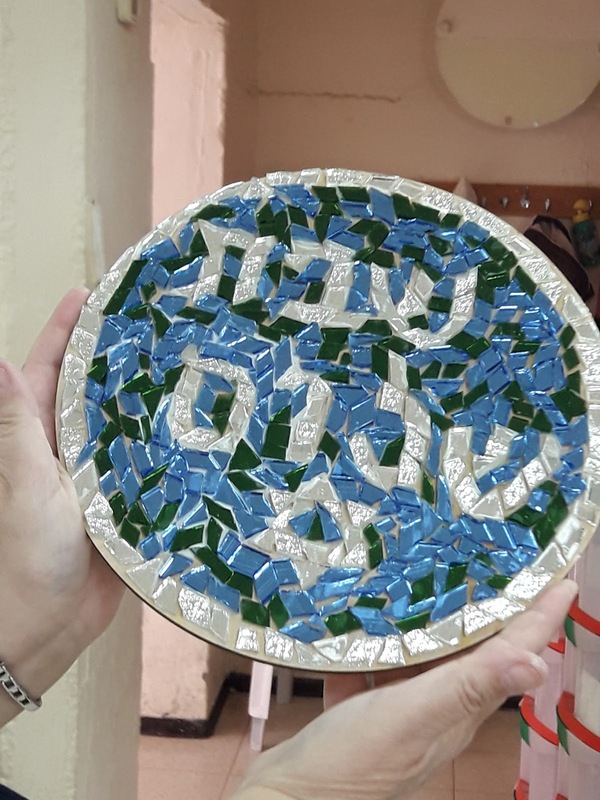 Today is a fast day on the Jewish Calendar, the 10th of Tevet. The eight day Chanukah holiday ended just a week ago. 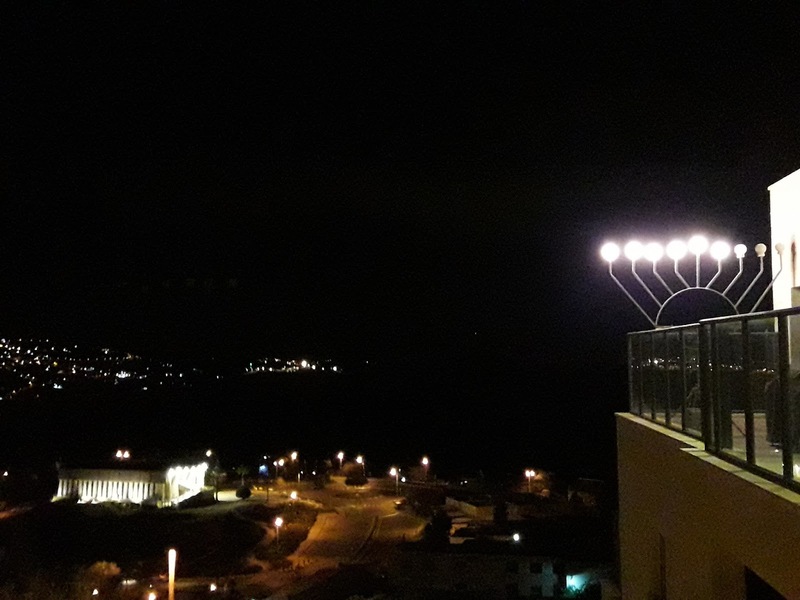 Chanukah celebrates the impossible sounding miracle of a small group of Jews fighting the mighty Greeks, a fight for the possession of our Holy Temple in Jerusalem. 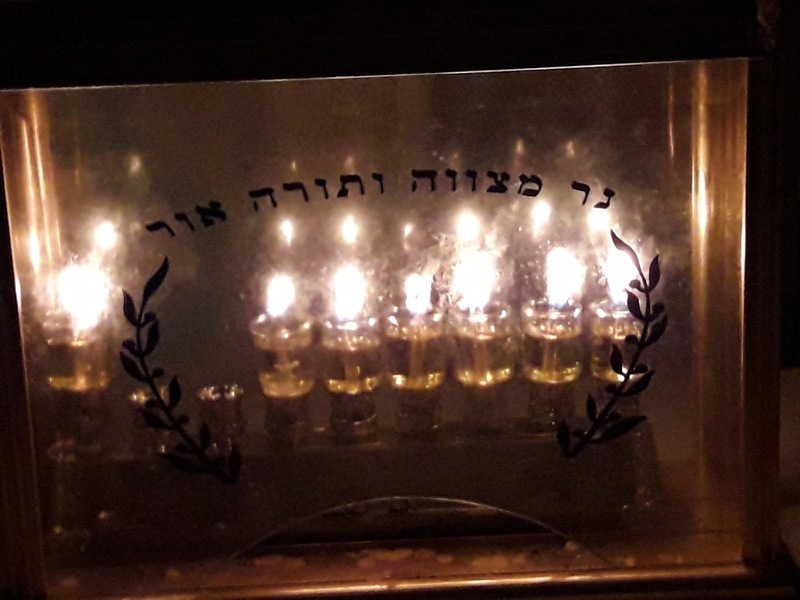 We finish Chanukah with a fully lit Chanukiya burning brightly feeling rather invincible. I grew up in a rather non-observant Jewish home. Even in my Conservative Hebrew School, I don't remember hearing about a fast day after Chanukah. If anything, the power felt from Chanukah took us all the way to Purim. Even in modern times, our great victories in 1948, 1967 and 1973 haven't guaranteed us lasting peace. We must keep our enemies far away from us. 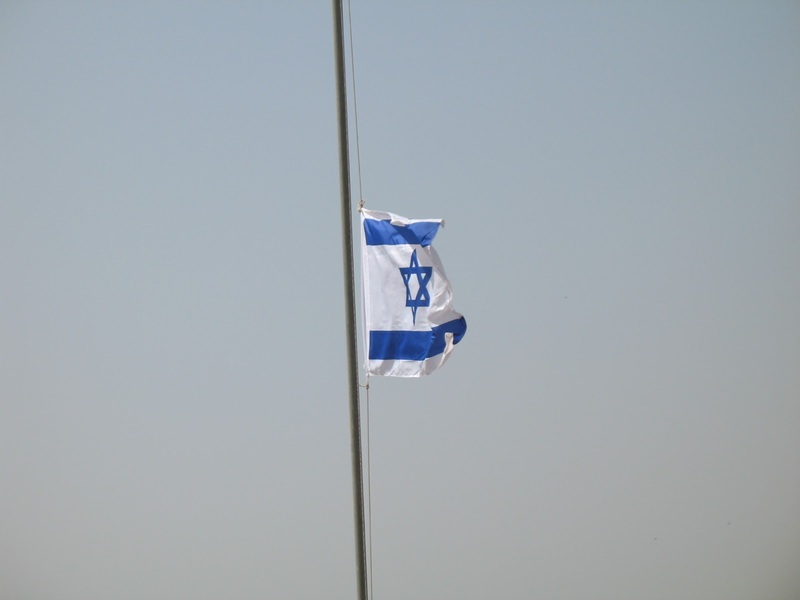 Our existence as an independent country and Jewish People is a constant battle. For more information about our monthly Rosh Chodesh Prayers , contact me at shilohmuse@gmail.com. Why is The Secular Left so Obsessed with Converting Us? I don't feel threatened by the secular Left, so why do they feel so threatened by us on the Right? Lihavdil, it reminds me of the christian proselytizing of "unbelievers." In contrast, if someone wants to convert to Judaism he/she must literally beg and do one's best to convince the rabbis to take him/her on as a potential Jew. IMHO the secular Left suffers from an insecurity, since their religion/ideology keeps changing with the seasons. And they never know who's going to ask too many questions and end up taking on traditional Judaism and/or Right views. What is known today as BT- Ba'ale Teshuva, "masters of return," began in the 1960's a generation or two after it had looked like most Jews had jumped ship in their enthusiasm to assimilate into secular and non-Jewish society. I'll never forget the shock and dismay when I began taking on Torah Jewish aka Orthodox practices/mitzvot. My parents had been certain that they had saved us from the restrictions and difficulties that strictly observing Judaism would cause us. They were also on the political Left; I remember their disappointment when Eisenhower defeated Stevenson in the 1956 USA Presidential Elections. They'd be horrified to discover that I'm on the Right also politically. 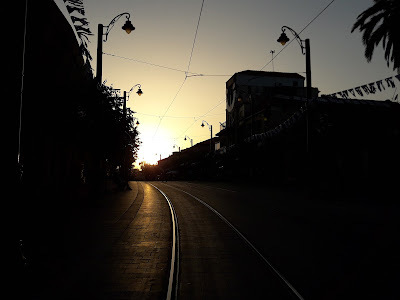 Ironically, the "wild" 1960's in its search for truth, simplicity and the intolerance of hypocrisy facilitated my increased connection to Judaism in every way. 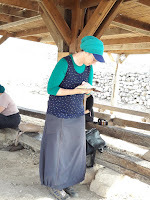 I couldn't abide being a part time or just Jew "in name" living outside of the Holyland. I can tell my story, but I can't imagine trying to brainwash or convince anyone to live how I do. It is something one must reach on one's own. You must be ripe for it, like the difference between a ripe fruit and one that isn't edible. 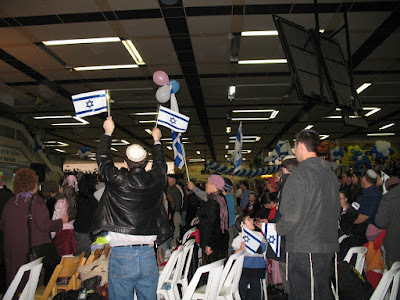 Gd willing all Jews will find themselves ready to lead full Jewish lives in the Land of Israel. This post is in essence a continuation of yesterday's If Bogie's the Alternative, I'll Stick With Bibi. In replying to comments I realized that I hadn't fully expressed my thoughts about those demonstrations. This also connects to my horror and unease at the trends in the United States concerning the riots after last year's Presidential Elections. In principle I totally oppose using demonstrations to change or protest governmental leaders. That's the job of elections in a democratic society. If our prefered candidate loses, we must accept it. Our reaction may be sadness and disappointment, but we aren't to hold demonstrations or riots about it in protest. In a democracy there are procedures and governmental bodies to police officeholders. Demonstrating to force someone out of office is not only undemocratic/antidemocratic, it's fascist. Yes, that's what happens in countries that don't follow the law. I am extremely unhappy with the so-called "anti-corruption" demonstrations going on here in Israel. They are to force the hand of the already Left wing judiciary and the police. That is against democratic principles. The backers and initiators of this "movement" have a definite agenda. They want their people in power, whether legally elected or not. 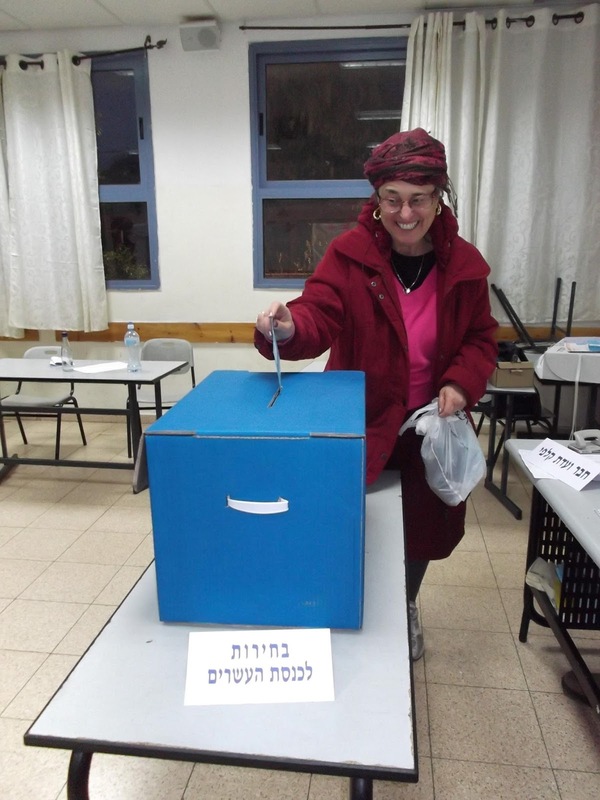 Simply put, I see Bogie Ya'alon as the Right's Ehud Barak. If you've been wondering why I haven't written about attending any of the "anti-corruption" rallies, it's because I don't see them as sincere, or as it's said in Hebrew, לשם שמיים, lisheim shamayim, for the sake of Heaven. They are clearly political tricks/cons to get Prime Minister Binyamin "Bibi" Netanyahu out of office. I agree that he's far from perfect, but I don't see anyone who can replace him, certainly not former Defense Minister Moshe “Bogie” Ya’alon. It's pretty obvious, that this "movement" is backed by people with a not so hidden agenda, and their agenda is to get Netanyahu out of office. If anyone has the means and connections, then please FOLLOW THE MONEY. 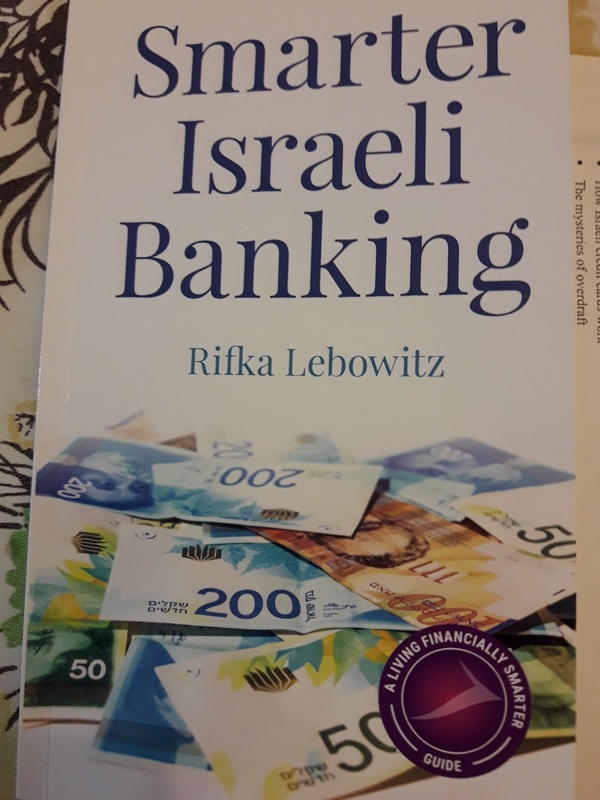 I wouldn't be surprised if it ends up coming form international Leftists, like Soros and those who financed the "anyone but Bibi" and V15 during the last Israeli elections. The International Left has plenty of money, but it didn't help them in the USA 2016 Elections. Trump won. I don't trust Bogie any more than I'd trust Ehud Barak or Barack Hussein Obama and his backers. Years ago, I'd heard Bogie touted as the "great Right hope," and I never saw him prove it when in office. That's why I spent yesterday evening at a football game, American tackle football. I saw more honesty on the field, than I would have heard from the speakers at the demonstration. 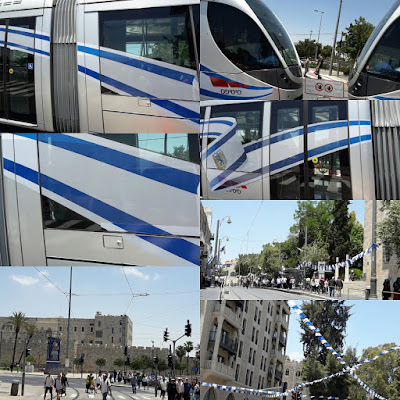 The fact that most of the world, countries, diplomats, international organizations and NGOs refuse to recognize that only Israel and the Jewish People have the right to the Holy City of Jerusalem has been fanning the flames of terror and unrest all over the world. It's not just about "peace in the middle east." Yes, it's totally clear from media headlines, United Nations resolutions etc that everything is focused on Jerusalem and the Temple Mount. Blame/Fault does not lie in Israel's hands, unless you want to say that the Israeli Government and Jewish leaders should be firmer about demanding recognition of our exclusive rights and history to Jerusalem. Any reading of history, whether quick or detailed, will show that no other people/religion have a narrative, written or otherwise, that proves a direct connection to Jerusalem as its capital and holiest city. Only the Jewish People/Religion have that connection. And only Jews are both a People, Nation and Religion. Even during our various exiles, the focus of our prayers and yearnings have always been towards Jerusalem and the Holy Land. It will never help or calm things to offer "sharing" with those who want to exterminate us. And considering how violent and determined the Arabs are to do this, Gd forbid, it's very clear that they aren't capable of making any sort of real and viable peace. Bones explains Jewish History and resilience in a nutshell. This perfectly illustrates what I've said many times about my feelings when listening to Megilat Ester, the Scroll of Esther, which in Shiloh is read four times over our two day Purim. 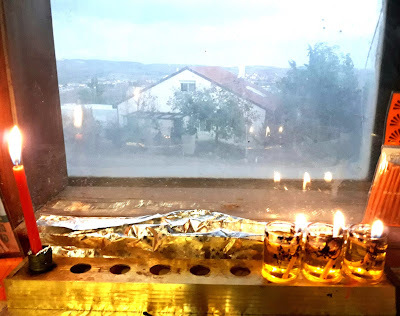 Megilat Ester, the Scroll of Esther was written about events that took place well over two thousand, close to 2,500 years ago, hundreds of years before those of Chanukah. And we have been celebrating the Purim Holiday with feasts and gifts for thousands of years. Simple reminder. Both Chanukah and Purim celebrate miracles Gd made for the Jewish People centuries before the beginnings of both Christianity and Islam. This is further proof that the only true religion is Judaism. 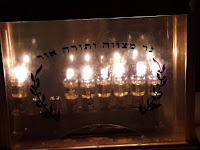 The main mitzvah, Commandment, of the Chanukah Holiday is Pisum haNess, Publicizing the Miracle. 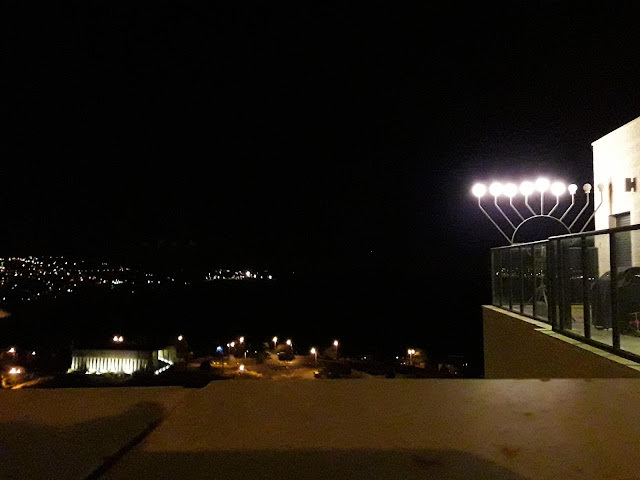 That is why we are commanded to place our lit chanukiyot, Chanukah Menorot in a place where people can easily see them. That's why you'll see lit chanukiyot outside of people's homes or in their windows facing the street. And the oil, or candles, are supposed to stay lit for as long as possible, the longer the better. There is nothing discreet about Chanukah. Chankukah is the only Jewish Holiday which isn't clearly mentioned in the Bible. Chazal, our scholars show where it's alluded to, but the story itself took place after all of the other ones, including the Purim story. Esther and Mordechai lived in the time between the First and Second Temples, while Chanukah is about the Second Temple centuries later. There is not yet a Third Temple, though we Jewish People have begun returning to the Holy Land. And although the Chaunkah story of the Maccabees' victory over the Greeks leaves us with a very optimistic impression, their dynasty was very short-lived. And afterwards we suffered an exile of two thousand years. 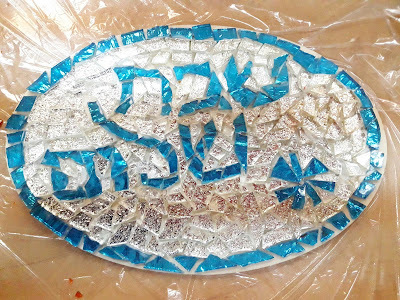 Today's prominence of Jews and Israelis, especially those who aren't ashamed to publicly follow Jewish Law, whether it's in dress, insisting on Kosher food or refusing tor work on the Jewish Sabbath and Holy Days, is a very enlightening and "24/7" observance of Pisum haNess, Publicizing the Miracle. 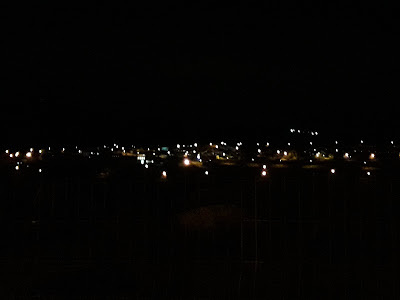 I also see the lights of Jewish communities all over the Land of Israel as Pisum haNess, Publicizing the Miracle. As the sun goes down and the sky gets dark, lights of our return to the Holy Land burn brightly for all to see. May we soon, speedily in our days build the Third Temple which will bring the Moshiach and Redemption, Gd willing. But the truth is very simple. It's really because of the Leftists, the journalists and the NGOs which egg on the Arabs to riot and attack Israelis. There's a very simple price to the violence. The IDF and Israeli Police have to stop them from murdering innocent Jews/Israelis. The journalists/media love the violence, since it makes for nice eye-catching pictures and headlines. Their aim is the total destruction of the State of Israel, although then the violence will move to other countries. But they don't care. For a very suitable Chanukah reminder... We have never had true allies, not in modern times, nor ancient times. A favorite phrase used by American leaders that they'll "stand by us" is totally useless, because all they promise to do is to "stand still" while Israel is being attacked. Then they plan on picking up the pieces and taking over. That is what Nixon and Kissinger had planned in 1973 during the Yom Kippur War. They tried to conduct it by "advising" both Israel and Egypt simultaneously. American troops had been waiting on standby in Europe for weeks/months ready to move in. We don't need "friends" like that. Only when Arik Sharon took over the southern front and ignored American instructions did Israel defeat Egypt and end the war. 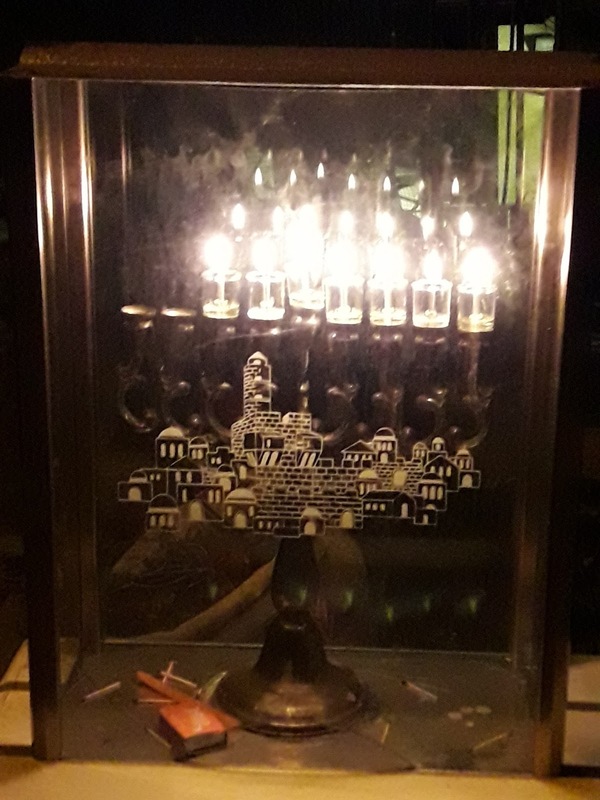 Chanukah is a reminder that a small Israel only needs Gd as an ally. Chanukah starts during the last days of the winter lunar Jewish month of Kislev. Days are short and the sky grows darker, as less of the moon can be seen. 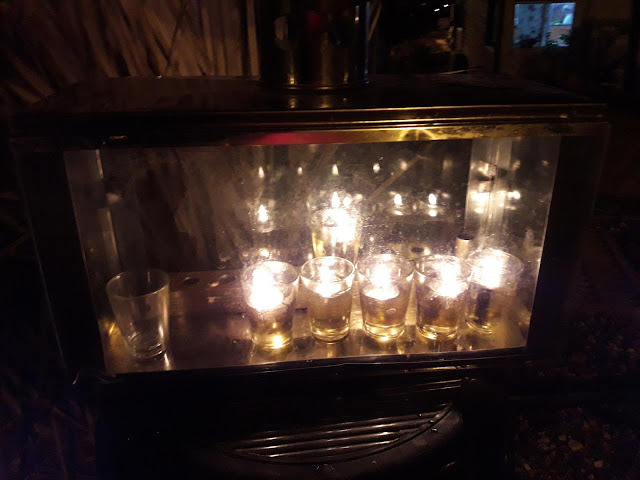 Simultaneously we light more and more candles, but according to Jewish Law, it is forbidden to use the light of the candles. They are only to "publicize the miracle" of Chanukah. What is the true miracle? Is it really about some oil? In the earliest of the writings about the history of the time and about the holiday of Chanukah, nothing was said about oil. The true miracle was that there were Jews willing to fight, even as the situation got darker. Yes, just like the sky gets darker during Chanuka. 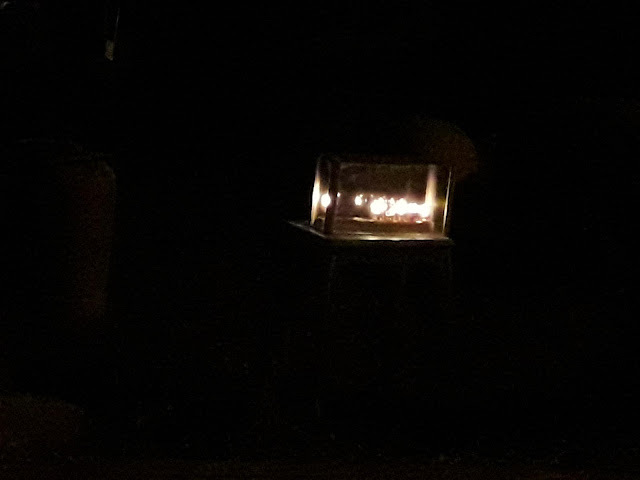 We light more and more oil/candles, but we can't use the light. Here we are midway through the eight 8 day Jewish Holiday of Chanukah. 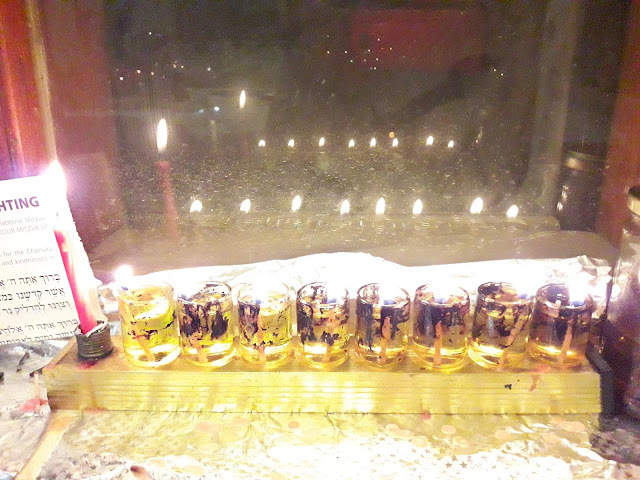 Last night we lit the 3rd candle, and tonight before Shabbat we light the fourth. Jerusalem is the very heart of the Jewish Nation, People, Religion and Land, and this has been for thousands of years. And to repeat something very crucial, the Jewish religion, People, Nation etcetera have existed thousands of years before the advent/invention of Christianity, Islam, the USA and the United Nations. We celebrate Chanukah because it commemorates the Jewish victory over the Ancients Greeks, who no longer exist. They tried to exterminate, defeat us, and they failed. What appeared to be mighty was actually weak. This template has repeated many times in Jewish History. When the "experts" think we're down, we rise again. 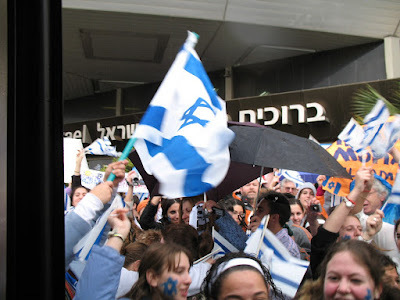 Here we are in the Modern State of Israel defying the Arab armies and their many supporters. Two thousand years of exile, and we are stronger than ever, bli eyin haraa. It really doesn't matter what the world thinks of the Jewish and Israeli rights to Jerusalem. The last and possibly only time Jewish sovereignty in Jerusalem was after King Solomon built the very first Holy Temple. And maybe only when we build the Third Temple will we again get the acceptance that will bring the Moshiach. That's how it seems to me. We shouldn't fear. It's time for a Nachshon, the brave fleeing Jewish slave, who stepped into the water and caused Gd to make a dry passageway to facilitate the Exodus from Egypt. What is Really Behind Anti-Israel and Antisemitism? I've been interviewed, spoken before all sorts of groups and have found myself being asked all sorts of questions over the years, decades. Over forty-seven years ago, when we boarded the enormous ship that took us to Israel, I was interviewed by a television crew and asked why I was leaving my native New York to start a life in Israel. That was a pretty simple question. I answered that as a Jew I didn't feel like a "real American," so I was going to live in the Jewish country, Israel. 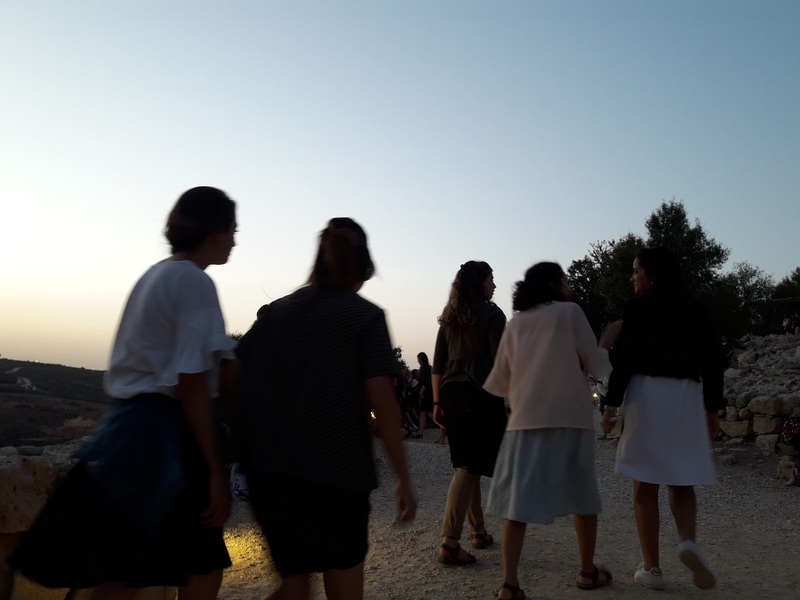 There's another much more difficult question I've been asked, first a number of years ago by a little American girl who had come with her family to tour Israel with their pastor. She very naively and sweetly asked why people always want to kill Jews. I didn't have a very good answer for her then. The other day a documentary film crew came to interview me and my husband separately. I was, davka, asked the same basic question. And I think that I now have an answer that makes sense. Unfortunately, it's an answer that can't make us hopeful of an end to the antisemitism, condemnations and terrorism we Jews and Israelis suffer from. Ironically, earlier in the interview I had stated that I wasn't going to talk theology. But in all honesty, I think that the answer to this very important question is rooted in theology, Christian and Islamic theologies. When I explain Judaism, Israel and the "conflict," I stress the importance of chronology. Judaism, the Jewish People, the Jewish Kingdoms all predate both Christianity and Islam. This must never be ignored. 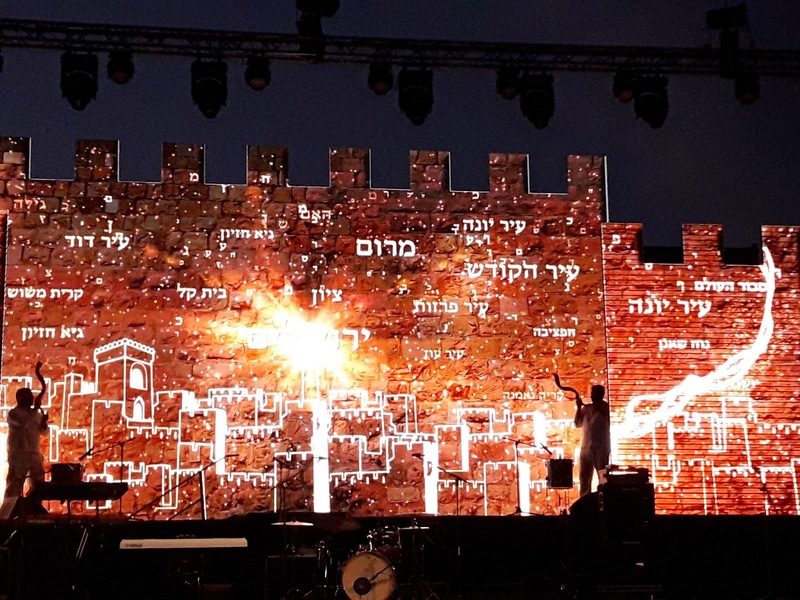 The continued existence of the Jewish People, especially the return to our Historic Biblical Homeland threatens the essence of both Christianity and Islam. The establishment of the State of Israel and the miraculous wars in which we have been victorious show that the True Gd supports the Jewish People, which totally contradicts both Christian and Islamic theologies. Rather than saying that they have been wrong and following "false gods," everything Jewish is attacked. 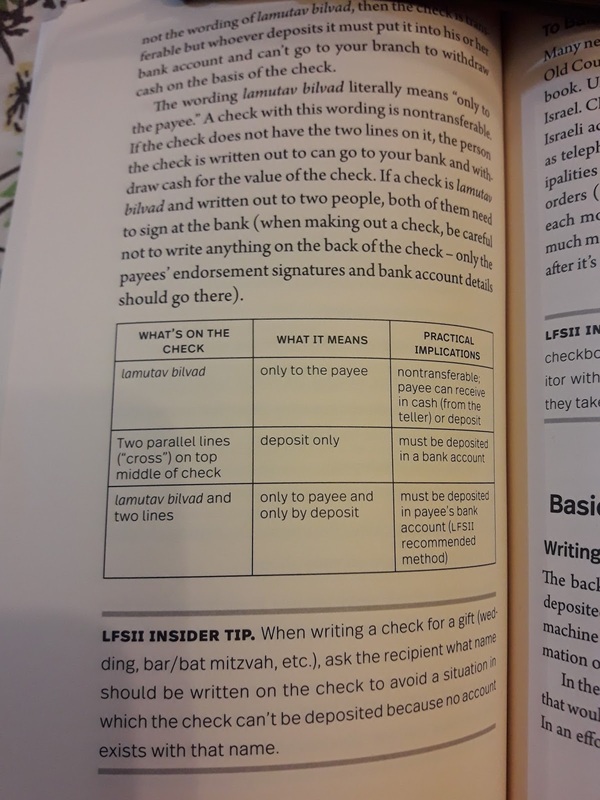 It's that "simple." And being that it's that simple, I don't see a solution, because those who oppose us certainly won't join us nor say that everything they believe in is a lie. Trying to destroy us us a lot easier for them. But, no doubt, they will go the way of all of our ancient, and not so ancient, enemies. 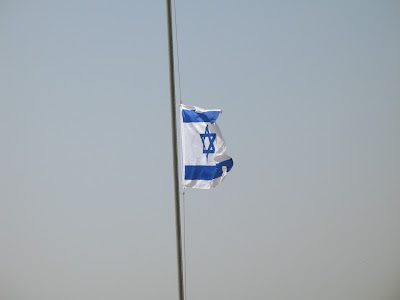 They will be past history while the Jewish People and Judaism live on forever, with the Help of Gd. Lots of people like to throw out the terms fascism/fascist. What do they really mean? What's the history? Listen to this short explanation from Prager University. There is a very simple basic message in the Chanukah Holiday. It is that not only doesn't might make right, but sometimes the smaller and seemingly weaker opponent wins. Jewish History is full of such examples. 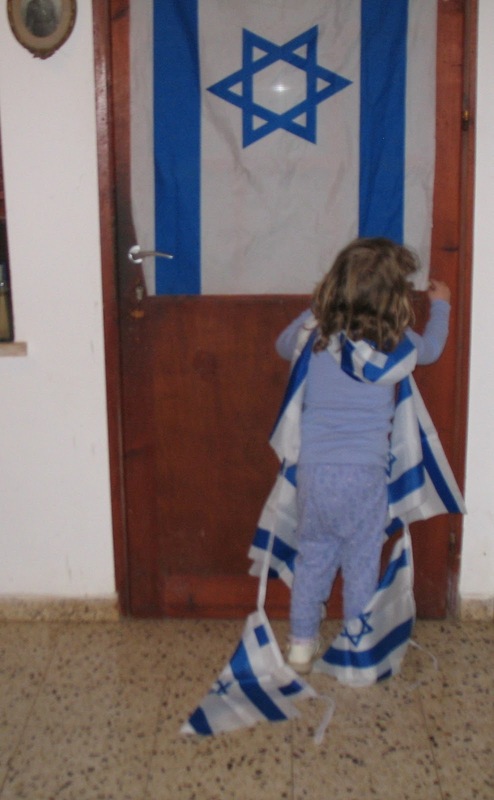 We were never one of the large nations or empires throughout the thousands of years of our history, but although today the Jewish Nation thrives, none of our ancient enemies still exist. The Ancient Greeks of the Chanukah Story had once ben an enormous mighty empire which spread a lot further than their small Mediterranean islands. They even managed to conquer the Holy Land and tried to ban Jewish worship, putting their idols on the Temple Mount and destroy the Holy Jewish Temple and defile the pure oil required for Jewish worship there. Many of the Jews of the time thought it wiser to align with the invaders; they were called Hellenists. A small band of Jews stayed true to Judaism and Gd. The Maccabees fought the Greeks, even though the Greeks had more forces and weapons. Gd performed a miracle for them. 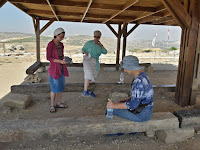 They were able to not only return to what was left of the Holy Temple, but the brave Gd fearing Maccabees even found one small vial of pure olive oil, just a day's worth. And that oil miraculously lasted eight days, until new oil could be gotten. The Maccabean reign/dynasty didn't last all that long, due to sins of the people. Within a relatively short time, the Jewish People were exiled, and that exile lasted two thousand years. Many times it looked like the Jewish People were dying out, as had happened to all of the other ancient peoples and religions. Instead of the Jewish People becoming extinct, in the 19th Century, as modern nationalism was sweeping Europe, and new countries were emerging, the Jewish People awakened from its national slumber. Zionism was coined to give a modern name to the eternal yearnings of the Jewish People for Zion, for the Land of Israel. 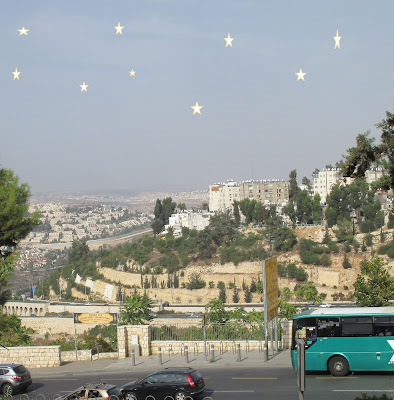 Subsequently, not only did Jews come from all over the world as a pilgrimage to the Holy Land or to die and be buried there, but Jews began to arrive with plans and training to bring the Land back to life. Ancient cities were repopulated; farms and towns were built. And the necessary defensive groups, too, were established because of constant Arab terrorism. 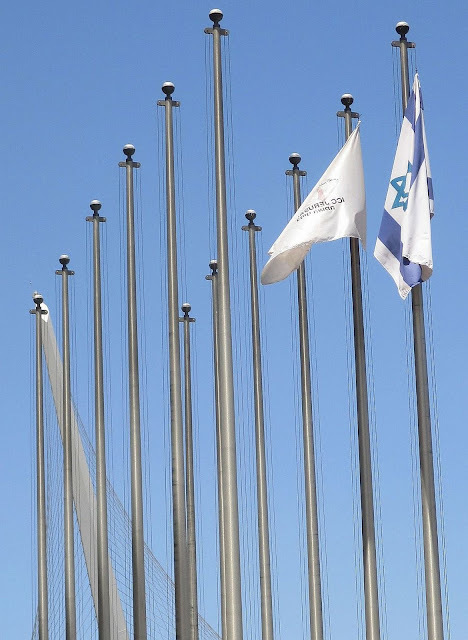 Then after World War Two, after the Holocaust and the murder of six million Jews the time had come to declare independence, statehood for the Jewish State, the State of Israel. 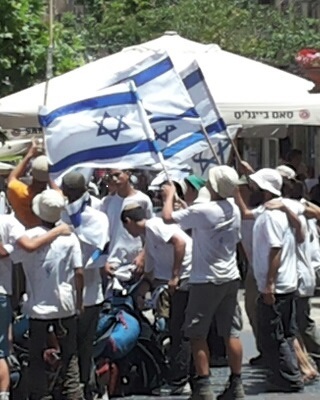 Despite our enemies and dire predictions of international media and leaders, the State of Israel thrives, thank Gd! There's so much to pray for. 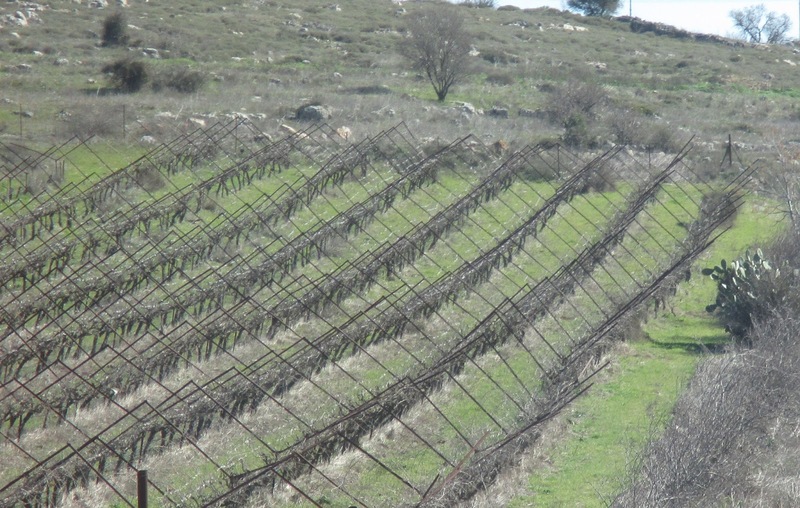 Besides all of the personal issues, which no doubt each and everyone can list, the Land of Israel is suffering serious serial drought. We haven't had a full winter's rain for a long time. It used to be that days on end the sun was hidden by rain clouds and generous storms. But in recent years the rains started later, end earlier and are much skimpier. It's just a week to the Jewish Month of Tevet, and we're using hoses and rinse water in the gardens. Rains are barely once a week and very weak. The ground still looks brown and dry, instead of natural lush green carpets. 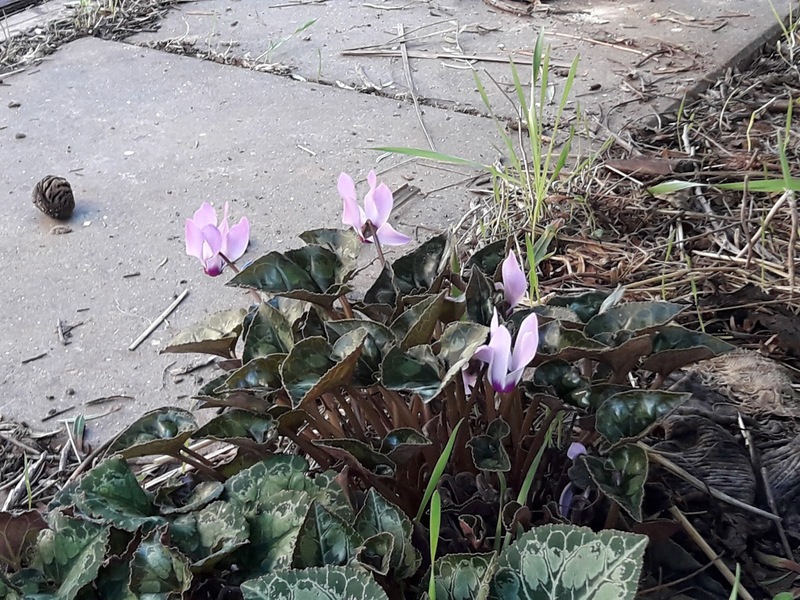 It's a rare and anorexic Cyclamen, rakefet רקפת that peeks out of the earth. No matter what Israeli policies, the world hates us and does its best to weaken us. The Arab terrorists attack regardless of who's in power here. So, don't blame Bibi. When Rabin and Peres made policy things were much, much worse. 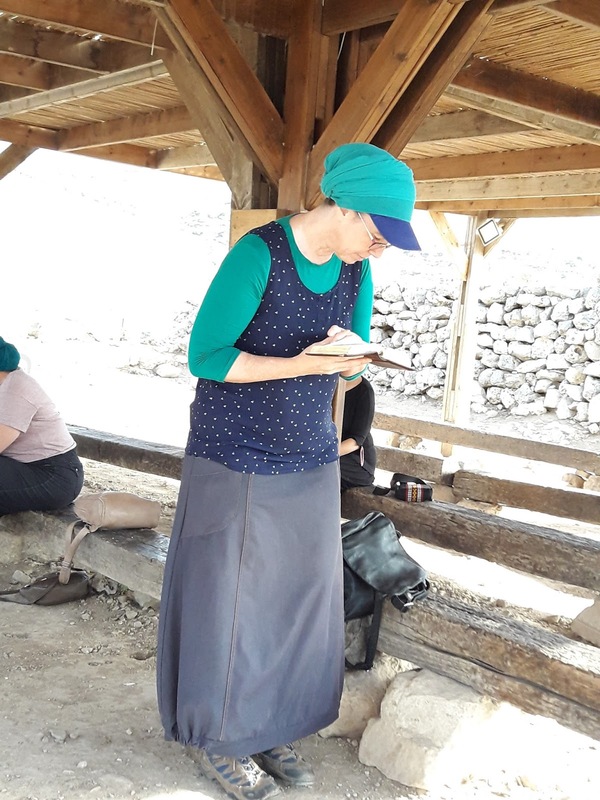 One of the most moving stories of how Gd hears our prayers is the story of Chana (Hannah) who prayed for a son, whom she promised to Gd to lead the Jewish People out of the anarchy of the time of Shoftim, Judges. 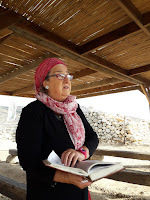 She came to Shiloh to pray in the Mishkan, Tabernacle. Since Gd's presence never left Shiloh, and Rosh Chodesh, the beginning of the Jewish Month, is traditionally known as a holiday for women, I've been inviting women to Shiloh Hakeduma, Tel Shiloh, to pray together where Chana did three thousand years ago. So, make your plans to join us. For more details, please email me. Shiloh Hakeduma, Tel Shiloh, is a beautiful archeological park, and it's open six days a week, Sunday-Friday. There will be special activities for the entire family during Chanukah, which you may enjoy. For more information, either check its facebook page or contact visit@telshilo.org.il. 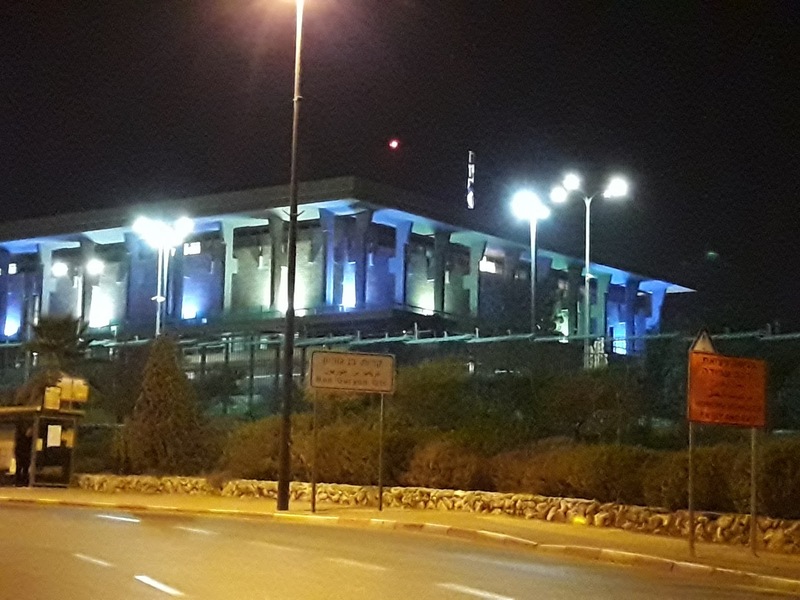 - סיורים מודרכים הכוללים ביקור במיצג מגדל הרואה, מערכת מערות מסתור, תצפית על קרבות החשמונאים וביקור במוזיאון. "No more blog posts about Trump and Jerusalem." But then I just can't think of anything more important and timely. I've been getting messages from all sorts of people, friends and family from all over asking about how Trump's statement is affecting us. The media keeps on saying that the Arabs will riot, another intifada. I've lived through all the previous intifadas and even was injured in a terror attack over twenty years ago. For whatever reason, I felt less in danger afterward. When it's time to die, we'll die, whether murdered or in our sleep, whether illness or attacked. Terrorists don't obey reason. If the Arabs had wanted peace, we would have achieved peace with them decades ago. They don't want peace, and they're encouraged in their violence by the international media and so-called diplomats from most countries and international bodies. They're waiting for the world to explode, so they can blame it on Israel and Donald Trump. By stating this simple truth, Trump fully rejected the anti-Israel legacy of his predecessor Barack Obama. 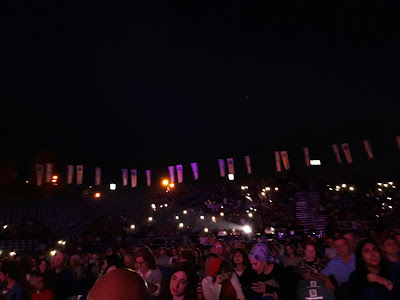 In his speech in Cairo in 2009, Obama intimated that Israel’s legitimacy is rooted in the Holocaust, rather than in the Jewish nation’s millennial attachment to the Land of Israel. 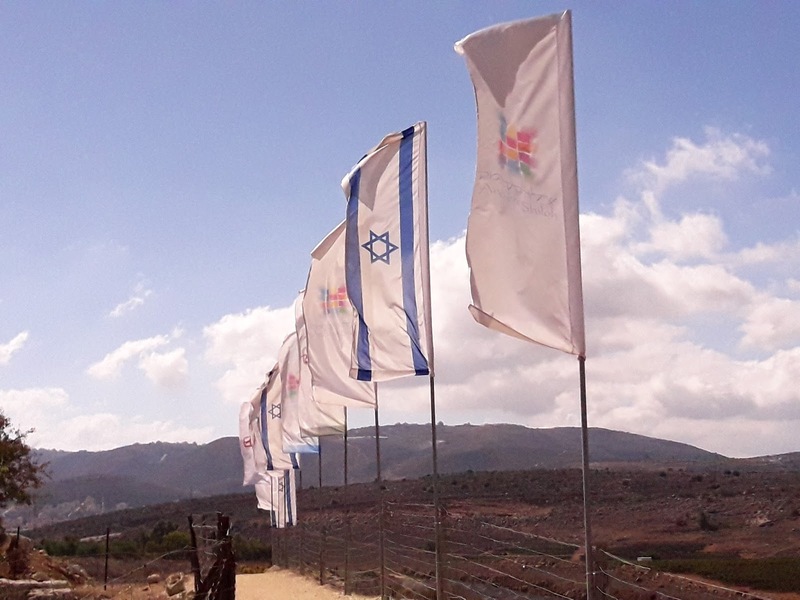 Whereas the Balfour Declaration and the League of Nations Mandate rooted the Jewish people’s sovereign rights to the Land of Israel in its 3,500-year relationship with it, Obama said that Israel is nothing more than a refugee camp located in an inconvenient area. In so doing, he gave credence to the anti-Israel slander that Israel is a colonialist power. By asserting the real basis for Israel’s legitimacy, Trump made clear that the Jewish people is indigenous to the Land of Israel. He also made it US policy to view Israel’s right to exist, like its right to its capital city, as unconditional.